Looking for a day out, a gift for a friend, or somewhere to stay? Just enter a location below and optionally select a business category and we’ll show you what’s available in your area. 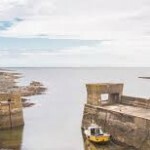 Alternatively you can browse the latest listings below, or even select the Map view for an overview of everything on offer in Northumberland. If you would like your women-led business to be listed please download the HERitage Business Registration Form and email it to info@her-itage.org and we will add your details. Business Advice – Improving the lives of business owners by helping them work ON their business instead of IN their business. Generic modules tailored to suit a wide variation of Business Sectors. A one-stop clothes care and crafting shop offering: alterations and repairs including bridal and prom; curtain alterations; fitting and remodelling of men’s and ladies’ garments; dressmaking; millinery; gent’s bow ties, ties, cravats, and waistcoats to order; knitwear; dry cleaning; haberdashery; yarn; fabric; craft kits and supplies; lampshade supplies and refurbishment; courses; room hire; crafting hen parties; bridal ribbons and favours, and decorative wedding supplies to order. 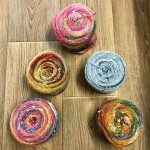 we offer 10% off charity knitting yarn. 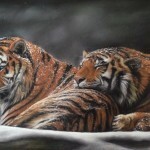 Pet portraits and wildlife painter in pastels. Landscapes in pastels, oils and pencil. I have been painting for over 30 years but been doing it full time since April 2013. The Art Evolution online art gallery contains artwork from the UKs finest up-and-coming artists, many of them based in the North East of England. However if you did not find the type of art you are interested or would like to see additional artwork by a specific we would love to hear from you. 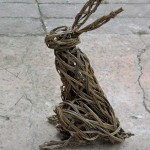 Anna Turnbull creates unique items for sale and delivers feltmaking, basketry and willow sculpture workshops at a variety of locations in Northumberland and the Scottish Borders and bespoke workshops for groups and schools. She also welcomes commissions. She makes hand felted wearable items, first ‘painting’ with a varied palette of dyed wools, and then felting them to create something delicate and ephemeral using fine wools and silks, or using more sculptural techniques to form vessels. She also uses many varieties of coloured willows grown locally for basketry, and the traditional techniques used to work with them, to create baskets and sculptures. 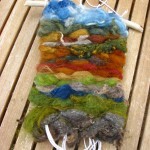 I run creative workshops teaching heritage textile crafts – natural dyeing, ecoprinting, indigo and Shibori and weaving. 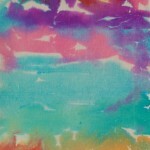 I produce naturally dyed textiles in silk wool and cotton – scarves, wall hangings, bags and more and sell dye plants. An established family-run business providing management and house-keeping services to holiday property owners along the coast near Alnwick. Craft and sewing items handmade by Louise, including cushions, bags and gifts. I also make custom-made items for customers according to their specifications, such as cushions with names on them. I have an art studio in Craster where I offer bespoke creative sessions for full or half days. Whether you’ve done nothing’ since your schooldays, or you want to try something new, I can provide guidance and equipment, or leave you to your own devices if you prefer. The studio is equipped for drawing and painting, stitching, collage or assemblage of functional or decorative objects. The beautiful local landscape, and seashore finds, provide abundant inspiration. Drawing or painting outings can be arranged in the locality, or you may prefer to draw in the adjacent ‘fisherman’s allotment garden’. There is space for up to 4 people. Tea, coffee and snacks provided. Two Northumbrian artists working with reclaimed materials (driftwood) to make interesting pieces inspired by the rugged coastline and the beautiful rural landscapes found in Northumberland. We sell through facebook (contact via email), Elements – Rothbury, Gallery 45 – Felton and Bolam Café – Bolam Lake. Emma designs websites for small creative businesses. 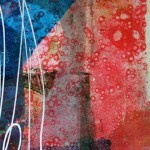 Emma is also a mixed media artist. Largely abstract in nature, she works using a variety of materials mixing the boundaries of painting, collage, sculpture and textiles. Currently working on incorporating digital imagery into her work, Emma is planning some printmaking and collage workshops in the winter – contact her for more information. You are very welcome to visit her in her studio, she is there Monday to Friday from 10am to 5pm, but please check first if making a special trip. Frankie started out collecting sea glass, shells and driftwood on beaches across the world, and for over twenty years she has enjoyed making jewelry from her finds. Recently she has branched out into making brooches and necklaces from wool, shells, beads and sparkles in bright colours. 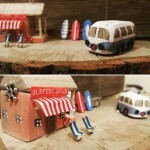 She uses driftwood to create scenes and mobiles. Frankie is interested in sharing ideas with other women makers, and if you’re interested in buying anything just get in touch. 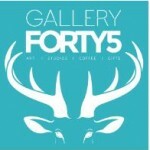 An exciting art space in the beauthiful Northumbrian village of Felton. We have a shop and a gallery, we run creative workshops for all abilities. We have 8 resident artists and creatives and you are welcome to visit them in their studios. We hold exhibitions and events all year round and also have rooms for hire if you want to run your own event. I am an artist based in North Shields, where I run groups and classes through my community interest company. I also run creative days at the coast in Low Hauxley near Amble. Full details of any of the classes can be found on my website under creative classes. I can also organise classes to fit with your plans/wishes. I work primarily with felt and fibre but not exclusively. I embrace an environmentally friendly ethic in my work and encourage it in others. I am a former professional photographer who strongly believes everyone can improve their own sense of happiness and well being by enjoying, exploring and embracing their own creativity. 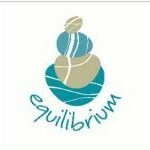 I also collaborate with Elaine Maughan, a natural energy healer, to hold spiritually creative days. Tai Chi , a soft Martial Art – For improved health, self and spiritual developments, the term soft means that while performing the continuous smooth, circular, precise, and flowing movements there is no tension in muscles or mind. Wonderful for self confidence – Balancing Mind Body & Spirit. 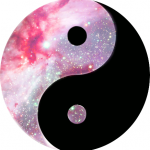 Qigong ( Chi Kung ) – Working with our Internal Energy ( Life Force ) Compliments Tai Chi practice, aims to instil deep natural breathing, focus and balance the mind – Inner Stillness. Fiona Cox is a complementary Health Practitioner offering treatments in Reiki, Spiritual Healing, Colour Therapy. 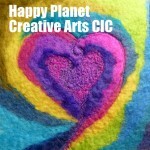 Fiona also runs Colour workshops and Colour and Spirituality Retreat weekends. Fiona is based at the Therapy Room in Wooler and is listed on the Border Therapies website. Fiona specialises in helping people with mental health issues. She also helps people to cope with dealing with the effects of cancer. 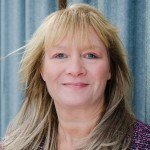 Fiona has been practicing Reiki since 2002 & is trained to Reiki Master Practitioner level. 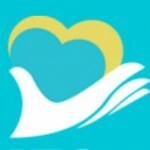 She has been a member of The NFSH (now The Healing Trust) since 2005 qualifying in 2008. Fiona started her training in Colour Therapy in 2007 & achieved her Diploma in early 2010. Last year I started the shoebox scheme for local families in need. It was very successful. This year Carlos fish and chip shop in Alnwick is the drop off point for toys, groceries and shoeboxes and hampers. People should cover the shoebox in Christmas paper and put a note on top secured with elastic band as to who it is for. eg. elderly man, elderly woman, child, boy or girl age group or single man or woman. Shoeboxes should contain special gifts for the recipient. We have many families locally that need help. Please let us know of anyone you think may need help. 2nd hand toys in good condition, food for the food bank, luxury items for the hampers and filled shoeboxes are all welcome. If you cant do a shoebox, one or two items are still most gratefully accepted. I am looking for volunteers to organise the same in different parts of Northumberland. 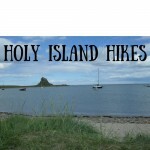 Holy Island is a nature reserve of international importance for its bird and plant life. It also has a rich history being the “cradle of Christianity” for pagan Northumbria. These walks, led by an experienced local guide, will introduce you to the many facets of life on Holy Island. Privately booked walks are available all year round and can be tailored to your groups requirement. We offer complementary and sports therapies in North Northumberland. Our therapist. Mary Gunn, specialises in advanced massage techniques to help ease pain and increase mobility. We offer treatments in clinic at Holy Island or on a mobile basis at your home.